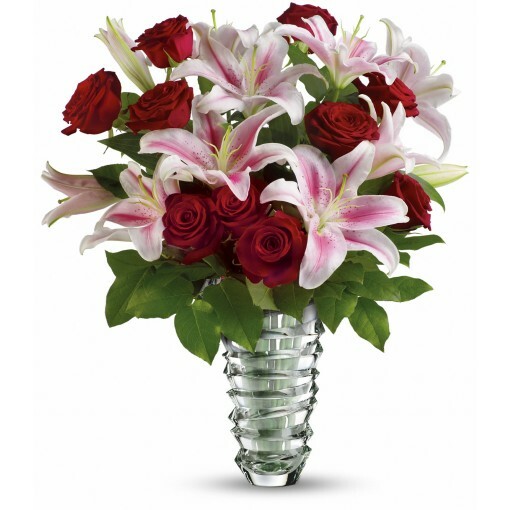 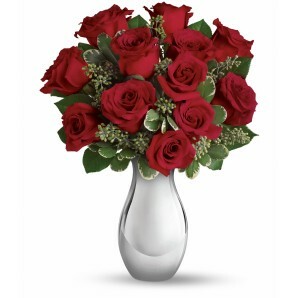 Melt My Heart Bouquet | Aebersold Florist - Dial 812-945-2544 :: Valentine's Day Flowers - "Accepting Orders Now"
This lush bouquet includes red roses and pink oriental lilies accented with assorted greenery. 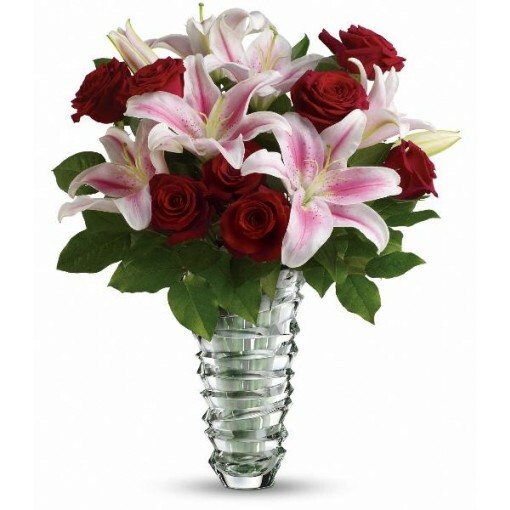 Delivered in a contemporary glass vase with a sculpted ring design and featuring a weighted base. 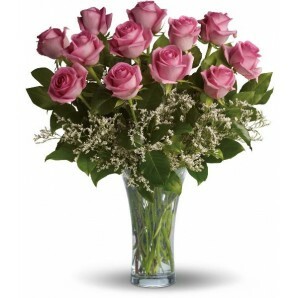 Approximately 17" W x 20" H.